Our Products Are Designed For Easy Do-It-Yourself Installation. 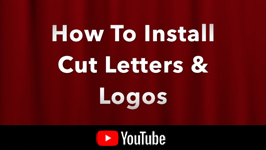 How to Install The Best Sign Monuments. 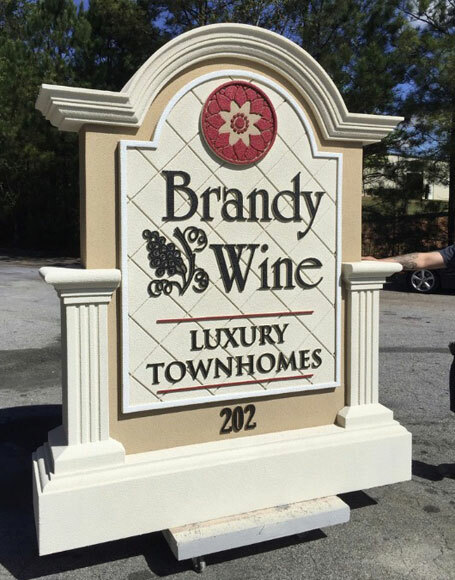 Do I need a professional to install my monument sign? The answer is "No!" 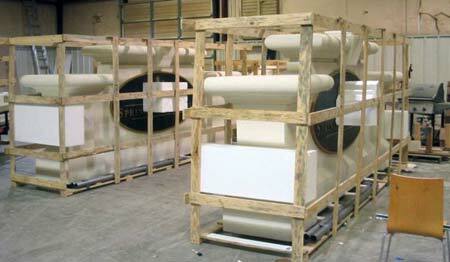 Our products arrive fully assembled, ready to position in place. Our team has performed installations for 20+ years, and have taken into account every situation imaginable when designing all new projects. Un-level grade, going over old signage, retrofitting, you name it! Don't let the project value or scale intimidate you. Do you feel comfortable using common post hole diggers? If you answer "Yes!" 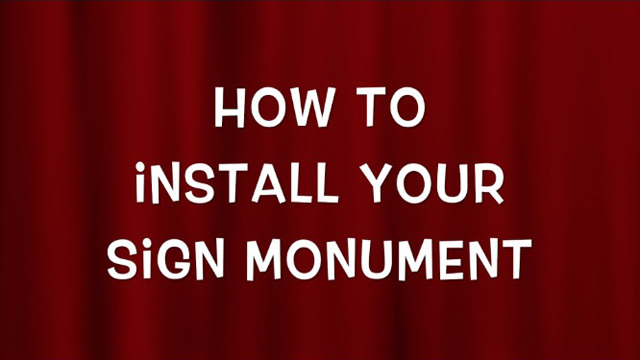 you can easily install your sign monument yourself. You do not need a local sign company to install our products. They will overcharge you! 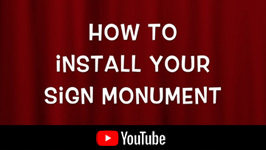 Download Video: Closed Format: "How To Install Your Sign Monument DIY.mp4"
Your project will arrive fully assembled, ready to set in place. In situations where you do not feel comfortable using post hole diggers or other factors, we will be happy to refer you to a local vendor to take over any portion of your project. For example, a local fencing company will charge you $25 per hole dug versus $150 from a sign shop. We have tricks we openly share. Here is a photograph of two monument sign structures (before we wrapped them in protective film) to give you an idea of what will arrive. All materials required are included in the crate (less concrete - pick up locally). We even include touch up colors for any future mishaps. Our one-page Sign Installation Guide is included with every order. We will gladly walk you through our trade secret installation methods upon confirmation of order placement, including phone support, diagrams, and videos if required. The advantage of our installation system is breakaway factors, meaning the monument structure is designed to break away from vehicle impact. You might not be concerned about this at first, but you should take this into consideration as upcoming Municipality Codes are setting this as a national standard. 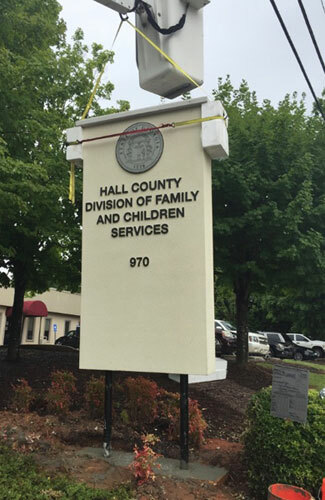 With this being said, let's start with the fundamental understanding of applying for a Sign Permit, which directly affects how a sign monument structure is installed. Some of our products, such as our individual CNC routed letters and logos, will require additional tools for installation. Here is an example of wall-mounting dimensional letters and a logo on a masonry facade in the air. This customer preferred renting a bucket truck to get over the bushes (versus moving a ladder around). We include a paper template outlining each character and all the holes that need to be drilled into the facade. Once the holes were drilled, the stainless threaded rods were screwed into pre-drilled holes in the back of each character. Each element was inserted into position, and the paper template was ripped away for prefect placement. Note - having done this ourselves, we're smart enough to make the hole positions the exact same for all common letters. This way, there is no confusion which letter goes where while you're working down the template. Conclusion - We include everything you need to permanently set your signage in place. If a sign structure, all you will need to pick up are (2) bags of QuikRete (available at Home Depot for around $3 per bag). We would include the concrete, but shipping the weight exceeds the value of the concrete. If other factors are involved, we will provide you with the knowledge and materials (or source) to easily complete the task. Our sign monument structures are designed for a (2-3) person crew to complete in less than an hour. While we will be happy to locate a local contractor, IT IS NOT NECESSARY and a wasted expense. We will be happy to email you a Pdf copy of the Sign Installation Guide per your request. Due to online piracy of our trade information, we unfortunately can not publish the Sign Installation Guide on this site. Click Here to request a copy of the password protected Pdf Sign Installation Guide. If after viewing the Sign Installation Guide (it's only one page! ), the overall scope of the installation still intimidates you, please speak with your sales representative for information on locating local sources that will be much more cost effective than hiring a general contractor or sign shop. City Council typically takes into account factors such as neighboring property signage obstruction of visibility, etc. Basically, it comes down to if Council thinks your sign is just being obnoxious. This is where Best Sign Monuments Design Team steps in to your advantage. We realize all factors involved, and take these factors into account in designing and producing a signage solution that meets your needs, and keeps within budget. As a common rule of thumb, keep in mind that your new sign monument structure should better the community. The design should not only serve your own purposes of advertising your business or development, but also complement your facility in architectural design as well as benefit your community. This is what gets Permit Approval in tough communities. And this is the critical factor other sign companies ignore in just selling you a sign. 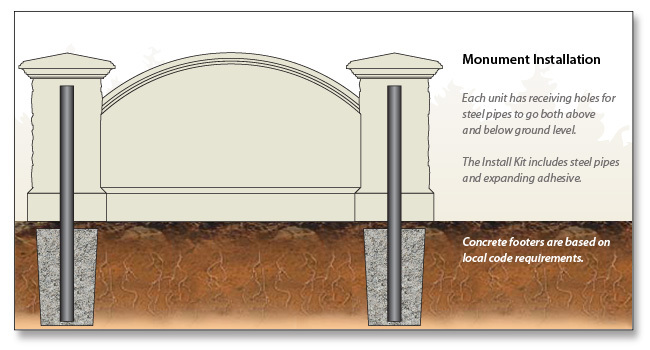 If you are looking for the best, you need the best sign monuments.